If one were to look around the room at a biodiesel or petroleum industry conference, they would quickly realize that the majority of attendees are male. 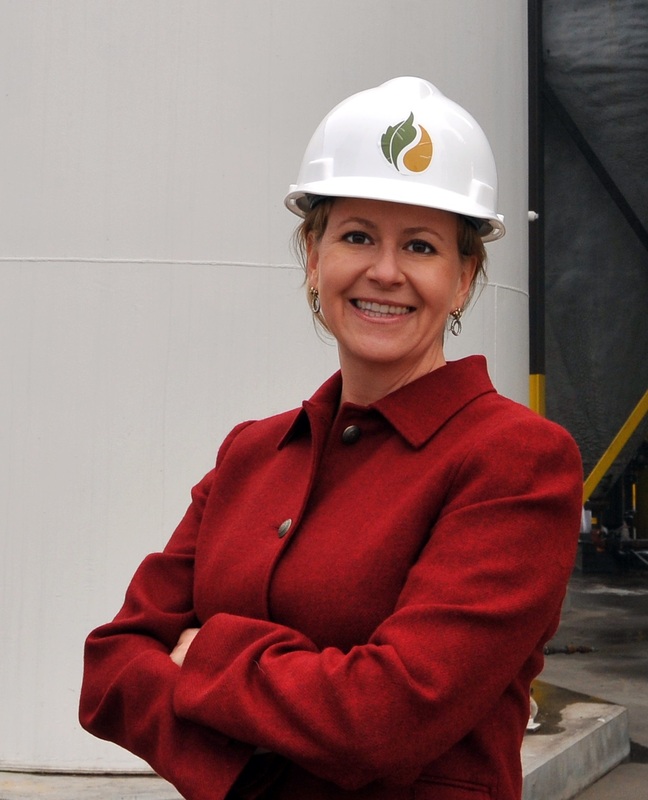 This is something that hasn’t escaped the notice of Lisa Mortenson, CEO of Community Fuels, who jokes that her gender makes her stick out at such events. Unique as it is that Community Fuels has a female leader, this is just one way that the company is changing the face of the alternative fuel industry. Who: Community Fuels, founded in 2005 and in production since 2008, has 25 full-time employees. What: Community Fuels produces some of the highest quality and innovative biomass-based diesel fuels available. Their plant is operating at 10 million gallons per year of biomass-based diesel fuel with further expansion underway. Fuel is sold in bulk to the petroleum industry for blending with traditional diesel. 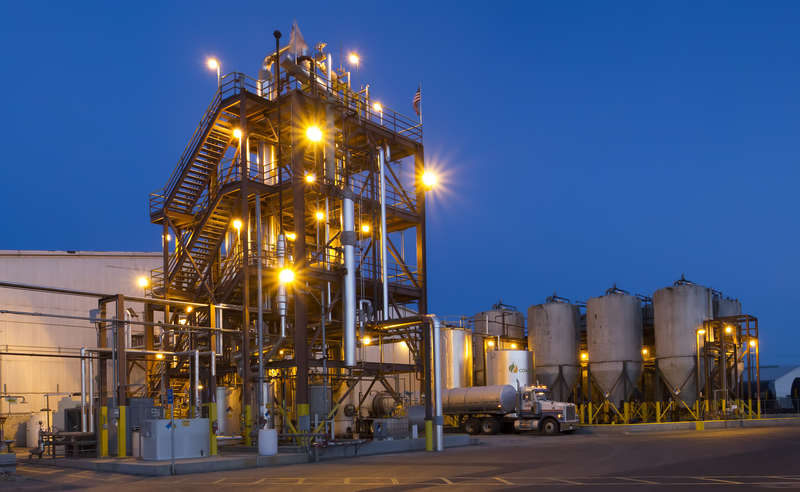 Where: Community Fuels operates a bio-refinery, laboratory and clean fuel terminal at the Port of Stockton, California. Why: Community Fuels is dedicated to producing high-quality biodiesel for blending that lowers harmful GHG emissions, grows the state’s economy, and reduces dependence on foreign oil. Long before Governor Brown’s plea for Californians to reduce their gasoline consumption, the founders of Community Fuels recognized the damaging pollution caused by traditional fuel and that biodiesel was an efficient alternative fuel that had the potential to scale and greatly reduce harmful emissions. The founders looked not only at California’s strong policies as a reason to open up shop within the State, but also at public sentiment — where they saw growing support of renewable, clean fuel. Mortenson is one of the co-founders and has served as CEO since the company was formed in 2005. Community Fuels is the first, and currently only, producer in the nation to earn both BQ-9000 producer and laboratory certifications – industry-recognized third party accreditations of quality control procedures for fuel production and analytical laboratory capabilities. 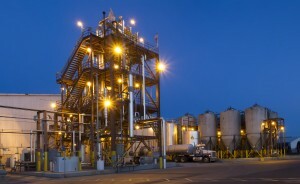 This has contributed to Community Fuels’ reputation for quality and integrity, which has assisted the company in selling the majority of its biodiesel in bulk to petroleum companies and refiners who demand high quality products suitable for commercial-scale distribution and use. The petroleum companies typically blend the fuel with petroleum diesel, using 5% or less biodiesel. Mortenson believes that this low-percentage blend is attractive to petroleum companies and consumers because it requires no change to existing infrastructure – the marketability of this end product, according to Mortenson, “results in a large sale volume, substantial amounts of displaced foreign oil and wide-scale greenhouse gas emissions reductions”. The combination of these attributes means the biodiesel produced by Community Fuels spurs indirect job growth (by increasing the need for workers across the supply chain), helps to grow California’s economy, and goes a long way towards shaping a cleaner environment. Community Fuels is constantly researching new feedstocks including unusual materials such as meadow foam seed oil, and has partnered with other companies like Solazyme to process algae oil. Mortenson reports that every feedstock it uses is carefully vetted to ensure quality, scalability to a wide market, and compliance with a range of regulatory and sustainability standards. Community Fuels also commits to using feedstocks that are co-products of other industries such as soybeans, canola, animal fats, recycled oils, and the co-products from ethanol plants. It is clear that Community Fuels is dedicated to creating a cleaner environment and a healthier state economy. A series of grants received from federal and state agencies are both recognition of Community Fuels’ valuable work and a way for the company to continue its contributions to California. EDF looks forward to seeing Community Fuels further its efforts to expand, innovate, and lead the alternative fuel industry as part of California’s clean energy economy. 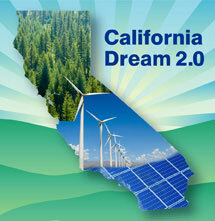 This entry was posted in California Innovators Series, Clean Energy, Climate, Global Warming Solutions Act: AB 32, Jobs. Bookmark the permalink. Both comments and trackbacks are currently closed.